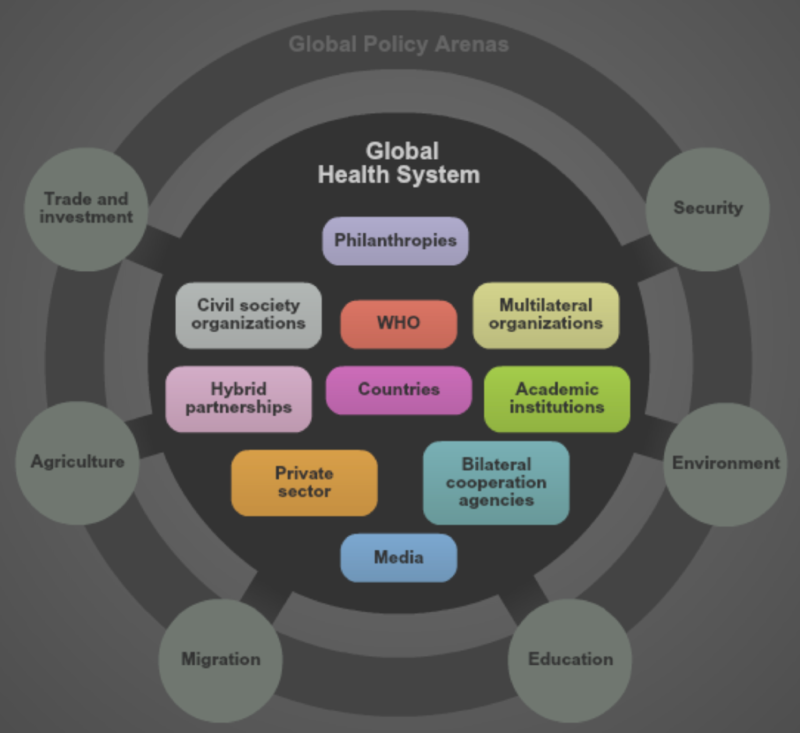 If you’re a student of global health governance, you’ll recognise this graphic. It comes from a review published in the New England Journal of Medicine in 2013, written by two well-known global health academics from Harvard, Julio Frenk and Suerie Moon. I introduce the article – Governance Challenges in Global Health – to my first year undergraduate students on our BSc Global Health. It’s a challenging read for them, but that’s a good thing. This year, a few of the students organised a reading group to discuss the article. I made a few notes of my own and joined in. Here’s what I think of the article. First off, it’s a useful analysis: it introduces students to some important concepts (a system, governance, different levels of analysis, sovereignty), provides an example of a framework, and affords the opportunity for critique (what assumptions do the authors make, is their description correct, do they miss anything out). “Global health is at the threshold of a new era. Few times in history has the world faced challenges as complex as those now posed by a trio of threats: first, the unfinished agenda of infections, undernutrition, and reproductive health problems; second, the rising global burden of noncommunicable diseases and their associated risk factors, such as smoking and obesity; and third, the challenges arising from globalization itself, such as the health effects of climate change and trade policies, which demand engagement outside the traditional health sector”. We can quibble about whether the three challenges the authors describe are actually six health challenges (infection, nutrition, reproductive health, NCDs, climate change, and trade) or even all health challenges (what health issues aren’t impacted by globalisation?) However, only one of these presents an existential threat to all human and non-human life, namely climate change (or as George Lakoff counsels us to call it, global warming). Alarmingly, a June 2018 study in Advances in Atmospheric Sciences found that most computer models predict that 4 degrees of warming is inevitable, they just disagree about when it will happen. Crucially, the median year is 2084! I don’t want to downplay the seriousness of the smorgasbord of health threats Frenk and Moon identify but if we are going to start thinking about global health systems, then we should probably focus on the one challenge that’s about to plunge us into the abyss. “In our view, global health should be defined by two key elements: its level of analysis, which involves the entire population of the world, and the relationships of interdependence that bind together the units of social organization that make up the global population (e.g., nation states, private organizations, ethnic groups, and civil society movements)”. ‘Levels of analysis’ analysis is complicated, and it pays to look at how scholars in the field of International Relations (IR) understand it (Taku Tamaki has written a nice chapter on this issue in Kavalski’s 2015 book Encounters with World Affairs). Kenneth Waltz, for example, argued back in the late 1950s that if you wanted to understand war, then there were three levels of analysis or ‘images’ you could look to for answers: the human nature of individuals (nasty, brutish, etc); the internal structure of states (democracy, autarky); and anarchy and its constraining effect on the international system of states. Frenk and Moon’s system analysis notes the importance of nation states but overlooks individual human nature; and while they acknowledge the absence of a world government, they don’t get to grips with the anarchic structure in which states operate. Another IR scholar, Robert Cox, famously wrote: “Theory is always for someone and for some purpose. All theories have a perspective” (italics in the original). Frenk and Moon’s paper, though not presenting a theory, does have a perspective, an ideological perspective: It’s a liberal analysis from a couple of liberal scholars who are projecting their own world view. There’s nothing wrong with that; everyone has their own perspective. But how to critique it? How do you step outside the dominant, liberal, paradigm of global health? IR is good for that, which is why we teach a bit of it to our first year students. IR gives you a range of competing world views or ‘stories’ about how the world works, stories that embrace – amongst others – liberal (Frenk and Moon), realist (Waltz) or ‘critical’ (Cox) assumptions. “The organized social response to health conditions at the global level is what we call the global health system, and the way in which the system is managed is what we refer to as governance.”. Do you believe Frenk and Moon’s story? I don’t. I’d be prepared to argue that there isn’t a global health system at all. Sure, there are component parts, but do they fit together, do they do what the authors say they do? It’s all a bit Wizard of Oz if you ask me, where the authors are the wizard beguiling us with a narrative which sounds plausible until you draw back the curtain to reveal something else. The system is so disorganised that we can’t – collectively – get bed nets to people who need them; or adequately fund the pre-eminent global health coordinating actor – the World Health Organisation; or devise a mechanism that a) develops new drugs for diseases that affect 90% of the population, and b) are affordable; or develop an economic model that doesn’t incentivise a wildly powerful pharmaceutical industry to bribe doctors to over prescribe drugs that people don’t need, leading to a world of drugs that are no longer effective. According to the authors, the ‘glue’ holding the global health system together is “the rules and norms governing their [actors] interactions”. But what if the glue isn’t very strong, or even illusory? Are nation states, the actors at “the core of the system” really glued together by rules and norms? Doesn’t anarchy mean that states will always seek relative power and to hell with everything else? Or, and perhaps more evident at the moment, will unpredictable national leaders prefer to tear up the norm book and go it alone? “takes the world as it finds it, with the prevailing social and power relationships and the institutions into which they are organised, as the given framework for action. The general aim of problem-solving theory is to make these relationships and institutions work smoothly by dealing effectively with particular sources of trouble”. This is the approach that Frenk and Moon adopt: they take our current capitalist global health system as they find it, and try to make it work as smoothly as possible. This is an exercise in futility. In other words, it starts with the prevailing order and looks to see if and how that might be replaced with a different order. “The third function is the mobilization of global solidarity, which has been the predominant focus of traditional approaches to global health, mostly through the provision of aid. (We use the term “solidarity” in the context of classical sociological theory, rather than of any particular political ideology)”. This is classic Alice in Wonderland analysis, where meanings are assigned in whatever way the authors feel suits their purpose – thus ‘solidarity’ now means the provision of aid and is denuded of the ideological connotation it does, and should, have! When reading Frenk and Moon’s article, the main question you should ask yourself is: does the article describe the world accurately? In my opinion, it requires a hefty dose of imagination to posit a global health system. Instead, look and you’ll see a dysfunctional cacophony of political and economic institutions headed by a bunch of wealthy elites whose interests are at odds with ensuring the health of the global population. If you did want to look for systems, I agree with the authors that aid is a good example. But the authors’ description of that system – as an expression of solidarity – bears no resemblance to how it actually functions. As Jason Hickel demonstrates persuasively in his book The Divide the function of the aid system is to syphon resources away from poor countries to wealthy countries – it’s extractive rather than supportive. But international relations have ever been thus (take a look at work by Eric Reinert and Ha-Joon Chang for example). 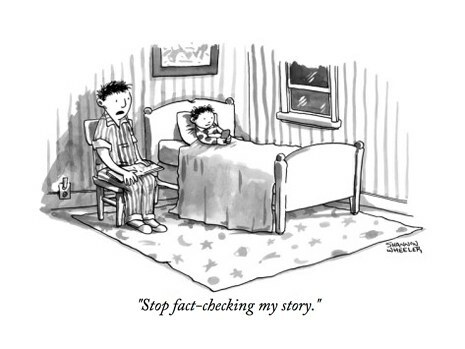 As I mentioned earlier, it’s very difficult to step outside a dominant paradigm of global health and critique it. Within the confines of Frenk and Moon’s paper you are restricted to a problem-solving, how-do-we-make-it-work-better kind of critique. If that’s what you want to do, fine – you now have a starting point. But if you dare to look behind the curtain, there are better sources than this one to guide you. Previous Post Honey, I’ve married a psychopath! The perils of partnership. Next Post Is capitalism good for global health?